Having access to a high-quality mixer is important for many different types of professionals. 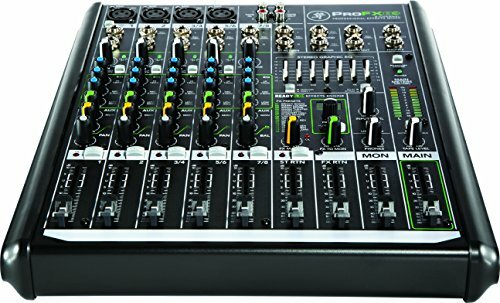 If you have been looking for a new mixer that can offer you robust features while also remaining reasonably priced, then you might be interested in the Mackie PROFX8. This unit is very fully featured and it offers you a great experience. It could wind up being the mixer that you need in order to pull of your live shows expertly. Whatever your mixer needs are, a unit such as this should be able to take care of things. This is an eight-channel mixer that can make things easy on you. It is compact enough to make taking it to different venues an easy process. If you are a touring band or a DJ who takes a mixer out on the road, then this will definitely work out well. Whatever your needs are, this compact mixer seems to be capable of meeting them. Being able to get a professional-grade experience at a reasonable price is good. You should take a look at all of the different aspects of this unit before deciding whether or not to buy it, though. Being able to make an informed purchasing decision is always important. It helps you to make the best use of your available funds and ensures that you will be getting a product that you need. You will not be surprised to hear that this mixer appeals to professional musicians. Anyone who needs a portable mixer to take out on the road will likely be pleased with this unit. 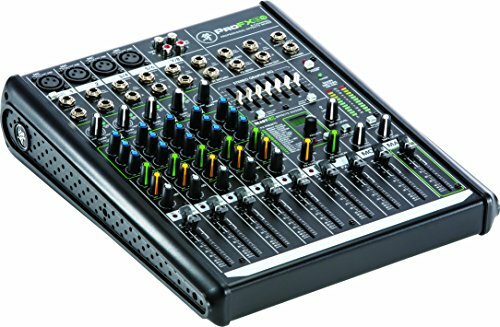 It is a compact USB mixer that is very easy to make use of. To add to this, it is also very durable despite its lightweight nature. Being able to rely on this mixer to stand up to regular use is certainly a positive thing. You’ll be able to count on this to last for many years so long as you take care of it right. It has all of the right features that you would want out of a compact eight-channel mixer too. This is going to be a good purchase for a touring musician or even a DJ. DJs will be able to use a compact and user-friendly mixer such as this to its full potential. Whether you are a DJ who is part of a musical group or you are one who hosts karaoke nights, this will come in handy. It has the right features to ensure that the sound levels are great and you will be able to set things up quickly every single time. It is easy to use and has the right features that you are looking for. Churches will also be able to potentially make use of a good mixer such as this. It can be a great tool for helping your worship music to sound incredible. If your worship music is a big part of your church experience, then it makes sense to want a high-quality mixer that can make things turn out great. 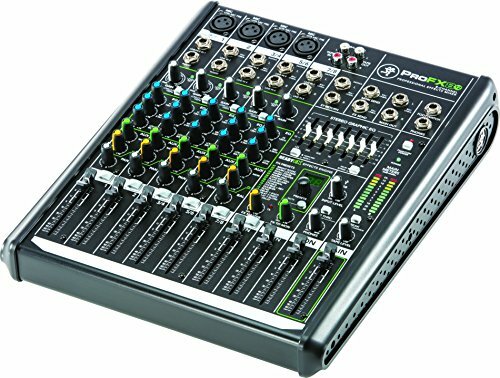 You will be able to easily set this eight-channel mixer up and can even take it to outreach events outside of the church with relative ease. You will not be getting any extra cables in the box with this unit. Expect to receive the mixer itself along with the Traction 3 Music Production Software. This software works for both Mac and PC so that is very convenient for just about everybody. You might need to buy some extra cables to make this work with your setup but that is pretty typical of just about any mixer that is on the market. A good mixer such as this has many different features that you will be able to enjoy. The live mixing toolkit that you will be using is very fully featured. It makes no compromises and ensures that you will be getting the best possible mix in a live environment. You will be able to use important tools such as multi-band graphic equalization and much more. It even has a footswitchable FX mute for your convenience. Speaking of the effect, this unit is equipped with the ReadyFX effects engine. The effects that you can use with this mixer will always sound fantastic. It can produce a rich sound for you that is perfect for both live applications and studio applications. This can add a lot to your overall performance and will see a lot of use by bands, churches, and DJs. This unit has a handy built-in USB interface. This allows you to record your music and play things back rather easily. You can even mix things on the fly and make use of the playback feature during a live show. This is a cool little feature that will have some great implementations for DJs. It also makes things convenient purely from a recording perspective. The Vita mic preamps that are used here will prove to be exceptional as well. One of the standout features of these mic preamps is that they are virtually noiseless. They have a discreet design, dual feedback stabilization, and bias current optimization. They will definitely please you if you decide to purchase this unit. The Behringer QX1622USB is a good alternative that you could look into. It is similar in terms of quality and it has a price that is pretty close to what the Mackie is offering. Both units will be very useful for both live and studio purposes. You should just examine both, side by side to see which features appeal to you the most. The Mackie is likely the better choice for most people but you cannot really go wrong with either unit. The Mackie PROFX8 is a fantastic mixer that is going to be useful to many different people. It works great for bands, DJs, and churches. 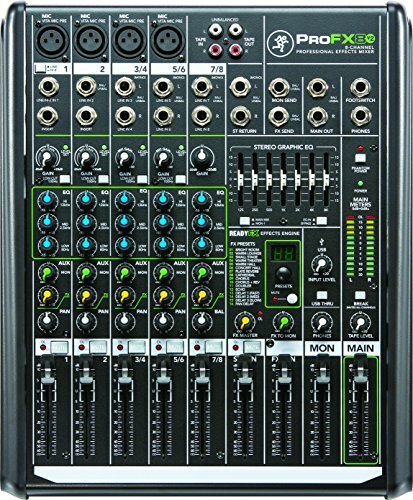 This is an affordable mixer that is also quite portable. You will always have an easy time setting it up and you can use it to its full potential in both a live and studio environment. This is an easy product to recommend for anyone who needs a compact mixer that is reliable.